Experience something new about Savannah this month! Residents of Bryan, Effingham, Liberty & Chatham counties in Georgia and Jasper County and Beaufort County in South Carolina can take advantage of some of our tours and attractions for FREE when accompanied by a full fare adult paid guest with Hometown Pass! Take the free ferry from River Street. 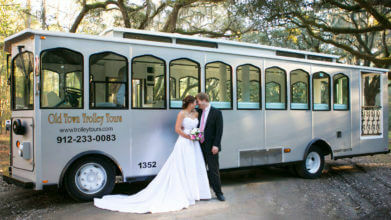 Guests will delight in oysters, low country boil, barbecue and specialty cocktails. Discover local art, music, food and culture from all over Georgia’s first city. Take the free art march trolley to different galleries through the Victorian and Starland districts. First Show is August 4. “Pages In A Book” Concert/Dinner at The Westin Savannah Harbor at 7:00 pm. $55-$65. All you can eat blue crabs & music. $28.00 per person; children 5-11: $10.00. Gullah-Geechee Fish Fry at the Ralph Mark Gilbert Civil Rights Museum. Fried whiting and other low country dishes, music & Gullah-Geechee performance. $40.00 per person.